Call us Today for help Planning a Funeral Service. 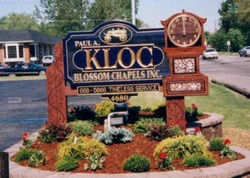 Paul A. Kloc Blossom Chapels Inc provides funeral services such as cremation services and burial services in Buffalo, NY. The motto at our funeral home is "Timeless Service." Our family is always there for you in your time of need. It is our culture to be there for our friends and neighbors through the loss of a loved one. We will be with you through the whole funeral planning process. We can provide advice and guidance for every aspect of the funeral service. Please contact our compassionate staff today to start planning a funeral service. Our compassionate funeral directors help families plan memorial services & cremation services for family members that have passed. We take the time to make sure every detail is in order. 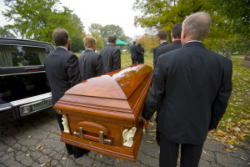 We also ensure everything runs smoothly the day of the funeral and wake services. We understand the importance of an honorable and compassionate burial or cremation service. We know how important memorial services are for families coping with the death of a loved one. Our funeral director works with each family to make sure funeral or cremation services properly honor the life of their loved one. We take pride in making special accommodations for families to help with the coping process. We help families with pre-planned funerals. We are family owned and operated and have been serving the Buffalo, NY area for over 40 years. We can assist you with pre-planned funerals and other funeral services that you may need. Please feel free to give us a call today if you would like more information. We can assist you any time of day, 24 hours a day, for your convenience. Pre-planned funerals allow individuals to plan memorial services for loved ones before they pass. This is beneficial because aging family members can help plan their own memorial services and have their say in other burial options. This also prevents families from having to plan memorial services immediately after a loved one's passing. Our funeral directors have a lot of experience helping families plan memorable burial services for their loved ones. Our staff is committed to helping families plan funeral services. 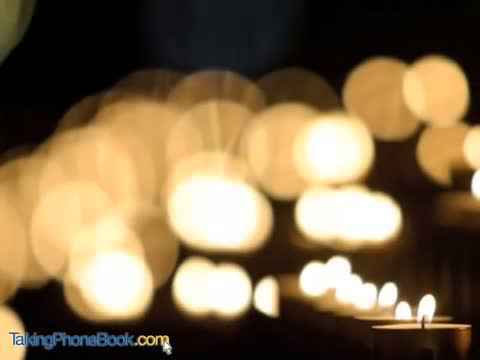 We offer burial services to families who are interested in pre-planned funerals. We are dedicated to providing caring funeral services for families and their loved ones. We know planning a burial service is never easy. It is one of the most difficult things anyone can endure. So we make sure we are compassionate and help in any way we possibly can. The funeral home was established by Paul A. Kloc in 1970. His main focus was on serving families at a time in their lives when comfort and assurance is needed most. We understand how difficult losing a loved one is. Our funeral home strives to help you through those tough times and provide funeral services that celebrate life. Contact our funeral home today for a caring staff who wants to help with your pre-planned funerals, and burial services. We believe our homelike atmosphere helps families, relatives and friends plan funeral services for loved ones. There are several important decisions that need to be made when planning a funeral. When you need compassionate funeral services, allow us the privilege to guide you through this difficult time. When selecting us as your funeral directors, this means that you have entrusted your loved one with a friend and neighbor, not a business with managers and ownership in another state. To many people this means a lot. We are involved in our community and give back to our community. We love the community that we live and serve in. 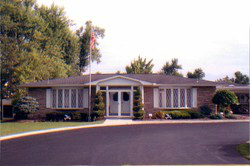 The funeral directors of Paul A. Kloc Blossom Chapels Inc are caring and experienced professionals who understand that each family is unique and has personal requests and traditions. These requests and traditions are of utmost importance to our staff of licensed funeral directors. Please contact our funeral home to speak with our staff today. Proudly serving Buffalo, NY and the surrounding areas. Kloc Paul A Blossom Chapels Inc. Provides Cremation And Funeral Services In Buffalo, NY. Our Funeral Directors Help Families Plan Memorial Services For Loved Ones. Pre-Planned Funerals Are Also Available For Families. If You Need Help Planning Burial Services, Call Us Today And Let Us Help You Through These Tough Times.